Superminis (referred to also as B-Segment cars) were once cramped, stark, slow and noisy. Those days are gone. Levels of comfort, cabin space, performance and refinement have increased to such an extent that for many people, there is no need to move beyond this segment unless you are seeking greater cabin space. Desirable features such as air-conditioning, power windows, locks and mirrors are either standard or optional on all of the cars in this category, with some cars offering luxury features like leather seating, navigation systems, Keyless Go and heated steering wheels, as options. There are four all-new entries in this segment for 2016, The Chevrolet Spark, the Smart ForTwo and the Toyota Yaris sedan. Ironically, the Yaris sedan, essentially a Mazda 2 with a trunk, is available, wheras Mazda has elected not to sell the 2 in Canada. Not returning for 2016 is the Scion iQ, which never elicited much interest in Canada. Vital safety features like side-curtain airbags, ABS and Electronic Stability Control (ESC), once reserved for luxury cars, are standard on the cars in this segment, with advanced safety features like frontal collision detection and lane departure alert, are optional on several cars in this segment this year. The better cars in this class are economical to operate, very reliable, and have excellent resale value. However, unless you are a cash buyer, please pay attention to monthly payments for financing and especially leasing, which are often as high as they are for more expensive cars in the next size class up. Once covered in this section, the MINI Cooper has been moved to the Premium Compact section as most examples carry enough options to push the model out of the supermini price segment. Automatic transmission is standard on the LTZ trim level for 2016. The refined base 1.8L four pulls strongly. The six-speed automatic transmission seeks the highest gear possible as quickly as possible but does react willingly to downshift requests. The 1.4L turbo is strong, smooth and sonorous. The turbo is best-suited to the automatic transmission as the manual is undermined by an abrupt clutch. Precise, nicely-weighted and communicative steering. The Sonic rides with a firm resilience and handles crisply without a trace of wallow. In town, the low-profile tire-equipped Sonic LTZ allows bumps to intrude into the cabin. Large turning circle. Highly-styled and well-finished cabin. The motorcycle-type instrumentation is attractive but also gimmicky and distracting. Comfortable seats offer good support. Spacious front seating. Rear passengers enjoy a comfortable seat and abundant legroom. Excellent headroom. Spacious trunk on the sedan. Vertical storage space on the hatchback is lessened by high trunk floor concealing a large under-floor storage bin. Sedan and four-door hatchback versions of the Sonic are available. Engine choices include a normally-aspirated 1.8L four and a 1.4L turbo. Both produce virtually the same horsepower but the turbo generates greater torque at a lower RPM. Power reaches the front wheels via a six-speed automatic transmission or manuals with five (1.8L) or six speeds (turbo). The Sonic placed third in a four-car test that included the Kia Rio, Hyundai Accent and Toyota Yaris. The hatch body style is priced $500 (LS, LTZ and RS) to $1000 (LT) higher than a sedan of the same trim level. Automatic transmission is standard on the LTZ, a $2000 option on the LS, $1550 on the LT and $1500 on the RS trim. Upgrading from to LS to the LT trim is priced to reflect the value of the contents included on the LT. The 1.4L turbo four, standard on the RS, is a $770 option on the LT, and includes roughly $2000 in additional equipment including the turbo engine for its $2700 price premium. The LTZ is essentially the RS without the turbo and is priced a bit less than it to reflect the lack of the turbo engine. Poor value leasing. Not rated due to insufficient data. The vehicles the Sonic replaced were rated below average. Possible trouble points could include the turbo engine and the suspension. Free oil changes (up to four changes, based on oil life monitor in the car) for two years or 40,000 kilometers. While most makers totally renew their vehicles after a five year model run, Chevrolet treats the Sonic that debuted for 2012 with a surprisingly comprehensive spate of late life cycle revisions. 2017 updates outside include a new front fascia, grille headlamps and hood as well as a restyled rear fascia. Interior revisions encompass a revised dash centre stack that houses a new seven inch touch screen for Chevrolet’s MyLink infotainment system that can now optionally support Apple CarPlay and Android Auto, a new gauge surround housing conventional gauges replaces the previous quirky motorcycle-inspired gauge package. New upscale equipment such as a power driver’s seat and a heated steering wheel are optional for 2017. Optional for 2017 are active safety features such as forward collision and lane departure alerts, as is rear parking sonar. Mechanically, the Sonic is unchanged for 2017 but the previous LTZ range topper has been replaced by the new Premier trim level. No 2017 pricing is available at this time. Active Safety Features: Optional forward collision and lane departure warnings. The second-generation of the Spark should be on sale by early 2016 with a base MSRP of $9995.. The $9995 manual trasmission 1LS base model tested by the APA was a revelation. The 1.4L four is smooth, flexible and surprisingly punchy. While clutch engagement is a bit late in its travel, the clutch is light and easy to modulate. The gearchange is not the last word in precision but is nicely weighted and never fails to find the gear selected. Overall gearing is a bit on the high side, which permits low-rev cruising but does demand you drop and gear for even modest hill. Steering lacks in road feel but is quick and nicely weighted. The brakes work well but could use greater initial bite. Some controlled lean is experienced while cornering but handling is sound and is allied to a surprisingly supple ride for a car with such a short wheelbase. Driven briefly, the 2LT model, was equipped with a CVT that works unobtrusively and kept revs low while crusing at highway speeds. Wind noise and road noise were much lower in the new Spark than on its predecessor, but tire noise borders on intrusive. Unlike its avant-garde predecessor, current Spark drivers face a clear, very conventional guage package. Even on the base model, the top-centre of the dash is dominated by a large touch screen, below which are simple audio controls as well as a straightforward three dial climate controls. Seat fabrics and other cabin trim are more attractive than most people will expect for $9995. Some APA testers thought the front seats to be a bit on the small side, they were quite deeply padded and acceptably supportive. Access to the rear seat is better than expected and rear seat space (especially on the passenger side if the front passenger gives up some room for those in the rear) is surprising for such a small car. Trunk space, while not copious, is tall and regularly shaped. The sound quality of the base two-speaker audio system in the Spark 1LS was impressive and even the base car is equipped with Android Auto/Apple CarPlay. Though sold for many generations overseas under the Daewoo Matiz nameplate, the new Spark is only the second-generation of the car to reach North America. Replacing the crude and noisy 1.2L four, a new 1.4L produces 98 horsepower, 14 more than before. Power reaches the front wheels via a five-speed manual transmission or a CVT. Available active safety equipment includes blind spot and lane departure warnings. A forward collision warning system was announced at the New York show and GM has confirmed is will make it to Canada. While the Spark beats the Nissan Micra with its $9995 MSRP, prices for real world versions of the Spark are a bit higher than they are for the Micra. About $2100 of the $3900 price gap between the the entry level 1LS manual and 1LT automatic can be explained by the CVT transmission and air conditioning that are part of the automatic transmission option. The $15,295 1LT with CVT is equipped how most buyers would like it and is a bit more expensive than the similarly equipped Nissan Micra SV. Nissan sold about 12,000 Micras in 2015 versus the 1500 Sparks registered last year; it will be interesting to see how the new Spark sells and whether it expands sales of cars in its segment of hurts Micra sales. Reasonable lease value for 2016. New vehicle, not rated. Previous GM cars from South Korea had a poor reputation. GM's previous attempts at CVT transmissions have not been successful. Active Safety Features: Available blind spot and lane departure warnings and forward collision alert as well. Additional Airbags: Standard front occupant knee airbags and rear seat outboard side airbags. The 500 undergoes a late life-cycle remake for 2016. Updates include minor styling tweaks outside as well as a new infotainment screen at the top centre of the dashboard, inside. The normally-aspirated 1.4L engine sounds gruff and strained much of the time. The six-speed automatic transmission permits mechanically relaxed cruising and works well enough in the countryside but poorly chosen lower gears, bad programming or a combination of both result in a car that always seems to be in the wrong gear in the city. Downshifts are eager enough. Putting the transportation in "Sport" mode leads to less in-town lethargy, but also increases revs at highway speeds. The steering, which is light and quick for tight turns and parking in town, firms up at higher speeds, but lacks feedback. The firm ride has a resilience that absorbs most of the harshness from large bumps. The 500's diminutive size confirms a certain agility but handling demonstrates considerable lean in curves and lacks any sense of fun. The 500 is pushed around by crosswinds. Firm, progressive brakes with a high ABS engagement threshold. The Abarth's fizzy 160 horsepower turbo engine accelerates briskly. The new 135 horsepower "Turbo" model is a balanced performer. Pronounced wind noise. Clear instrumentations. The very attractive cabin features a large exterior-body colour insert on the dashboard. The radio controls are diabolical and opting for the cruise control (which includes radio controls on the steering wheel) or the Sport trim to get the audio controls on the steering wheel, is virtually a necessity. Very good audio system with deep lows and crisp highs. The satellite radio signal cuts out frequently. Efficient heating and defrosting. The air conditioning was not as cold as desired on really warm days. The front seats are deeply padded but some found them a bit firm, with the backrest being too firm and flat for some drivers. Low windshield header. The high roof permits easy cabin access, and while rear legroom is tight, headroom is adequate and ingress/egress is better than on a number of other small cars. The rear seat head restraints are poorly placed and very uncomfortable. The massive sunroof of the cabrio model seals tightly and causes little wind noise. The top itself opens and closes easily and includes an interlock that precludes the top opening fully above a certain speed. Little wind buffeting with the top fully open up to around 100 km/h. When fully retracted, the roof blocks the view of the rear view mirror, but the substantial door mirrors are helpful. On the hatchback, the trunk is tall, regularly shaped and reasonably roomy for such a small car. The trunk on the cabrio has a small opening but the space inside is quite decent and is not compromised by the folding top. The 500's look was inspired by the Nuova 500 of 1957. Fiat's new car was styled by Frank Stephenson, the same designer who penned the first BMW MINI. The 500 is beautifully detailed and extremely chic. Labelled a cabriolet, the open-top 500, which has a cloth roof that unfurls electrically between fixed roof pillars, has traditionally been referred to as a "transformable". A normally-aspirated 1.4L four, as well as two different versions of a 1.4L turbo, are available. Two transmissions, a five-speed manual and a six-speed automatic, are offered. With sales of the new Fiat 500X, the car needed to consolidate the Fiat franchise in Canada, failing to bring sufficient new adherents to the brand, Fiat's long-term future here is not a certaintly. Moving from the Pop to the Sport is very good value and more-or-less essential if you want cruise control on your 500. Overpriced 1957 trim package. Considering it is essentially a gigantic cloth sunroof rather than a conventional convertible, the soft top 500c is very expensive. When other equipment is accounted for, Fiat charges roughly $2000 extra for the 34 extra horsepower of the Turbo compared with the 101 horsepower Sport. No leasing is available from FCA. Not rated due to insufficient information. Some complaints received regarding powertrain electronics. The Fiesta's 1.6L engine lacks response at low revs but does perform enthusiastically at higher revs. Gearing favours fuel economy more than performance. Except for excess gear whine, the manual transmission, with a silken smooth clutch, is a delight. The dual-clutch automated manual transmission works well but shifts can be abrupt, especially in traffic. Nicely weighted, precise steering. A resilient ride and precise handling reflect careful suspension development. Strong, progressive braking. The traction control cannot be turned off to allow for some wheelspin if you are stuck in the winter. Attractive gauges. Except for confusing radio operation, controls are straightforward and work well. Tight cabin space, especially in the rear. The Honda Fit and Nissan Versa Note are significantly roomier, with the Accent and Rio more welcoming as well. Good cargo space on the hatchback, with the sedan having an enormous trunk for such a small car. The ST is a thrilling drive but the bolstering of its Recaro seats is too extreme for many body types. The Fiesta is available in sedan and hatchback forms. The Fiesta's mainstream engine, a 1.6L four, can be hooked up to either a five-speed manual transmission or a six-speed dual-clutch automated manual transmission. The ST is equipped with a 197 horsepower 1.6L turbo four that is mated exclusively to a six-speed manual transmission. The turbocharged A 1L turbocharged three-cylinder engine finally made it to the market. Sedan and hatchback models are priced the same. Upgrading from the S to SE is very good value this year. The Titanium model is worth the money if you like its features. The five-speed manual and 1L three-cylinder turbo engine powerteam is only offered in SE trim. Leasing is not worth pursuing. Average reliability thus far. The dual clutch automatic transmission is a weak point. Avoid the unproven 1L three-cylinder turbo engine. Avoid the 1L turbo triple. Reports of rapid brake wear and steering component failures. No changes of note for 2016. The third-generation Fit sent on sale in the fall of 2015. No details released on the 2016 model. Styling is crisp and clean, with an interesting Pininfarina-esque profile indentation. Space-efficiency, a traditional Fit virtue, continues with this new model. Passenger space, cargo capacity and versatility are all extraordinary for a car of the Fit's size. What is new for the Fit is an upscale look to the cabin, as well as an array of luxury features including Keyless Go, sunroof, and heated leather seats. All Fits are equipped with Bluetooth phone hookup as well as a multi-view rear camera. High-end models feature Honda's Lane Watch system that debuted in the 2013 Accord. Power stems from a direct-injected 1.5L four that produces 130 horsepower. Transmission choices include a six-speed manual or a CVT. Canadian market Fits are now sourced in Mexico. Though the cheapest Fit, the DX, is advertised at $14,730, without air-conditioning or automatic transmission, even as options, it is merely a sleight of hand. Equipped with automatic transmission, the $18,830 LX is the least expensive Fit most people will buy. Moving up from the DX to the LX is a bit overpriced but there is really no alternative. The EX trim is priced to reflect the value of its extra content but the EX-L Navi model, with leather seating and Navigation, is a bit of a bargain. Good value leasing. Monthly payments for the new Civic are now quite a bit higher than they are for the Fit, making the Fit look like better value for 2016. The previous Fit was rated above average. The reliability of this new Mexican built Fit is unknown. No changes of note for the Accent in 2016, the fifth year for the current model. Hatchback and sedan body styles are priced the same this year. The smooth, direct-injected 1.6L four delivers fairly lively acceleration but excessively tall gearing on the manual transmission leads to downshifts on even modest grades. The precise gearchange is allied to a smooth clutch. The responsive, crisp-shifting six-speed automatic transmission permits serene highway cruising. Well-suppressed wind noise but road noise and ping from road debris are intrusive. The nicely weighted and geared steering lacks the precision of the related Kia Rio. Except for excess rear suspension rebound over big bumps, the Accent has a well-judged ride-handling compromise. Matte-finished textured hard plastic and elegant fabrics make for a chic cabin for this market segment. Big, clear gauges and logical, slick-acting controls. Strong air conditioning, good heating and comforting heated seats. The small rear window wiper clears only a small part of the window. Comfortable seats combine with good cabin space for this segment. Tight toe space under the front seats. Enormous trunk on the sedan and a spacious, versatile cargo area on the hatchback model. The Accent was ranked second, behind the Kia Rio, in a four car test that included a Chevrolet Sonic and Toyota Yaris. The fourth-generation Accent is available in sedan and hatchback forms. The hatchback accounts for the majority of sales. High-end technologies like direct fuel injection and six-speed transmissions are standard on all models. One engine, a 1.6L four with 138 horsepower, can be hooked up to either a six-speed manual transmission or a six-speed automatic. At $13,899, the chief mission of the manual transmission Accent L is to let Hyundai advertise a low base MSRP. Upgrading from the L to the GL is a bargain and delivers a car equipped to suit most buyers. Moving up from the GL to the SE is also very good value; with the migration from the SE to the range-topping GLS priced to reflect the value of the upgrade quite precisely. The sedan and hatchback versions of the Accent are priced the same for 2016. Leasing is not a viable option for the Accent this year. Good reliability predicted. Unproven engine and transmissions. Exterior updates for 2016 include a new hood and grille surround. A new seven-speed dual clutch automated manual transmission replaces the previous conventional six-speed automatic on the turbo model. A new Rally trim version of the Veloster turbo is available for 2016. The normally-aspirated direct-injected 1.6L four is smooth and refined, but has little pull below 2500 rpm. Manual transmission gearing exploits the power available in the lower gears, with fifth and sixth gears for cruising only. The crisp, short-throw gearchange is allied to a smooth, progressive clutch. Quick, nicely-weighted steering is more precise than that of the Accent but still lacks in road feel. On smooth pavement, the Veloster exhibits little lean, even in brisk cornering, However, rougher road surfaces upset the rear suspension and larger bumps can deflect the car off its intended path. Firm ride on all types of bumps on our car shod with 18" wheels; the 17" wheels and higher profile tires on the base model may ride better. Strong, progressive brakes with firm brake pedal feel suffers from premature ABS interventions under hard braking. Restricted rear visibility. Built on a longer wheelbase and longer overall and wider than the Accent, the Veloster is more than just a simple spin-off of Hyundai's B-segment stalwart. With cycle-type fenders, asymmetric (one door on the driver's and two-doors on the passenger side), side profiles and fully-integrated Siamesed rectangular rear exhaust outlets, the Veloster is one dramatic piece of road sculpture. The base engine is a normally-aspirated 1.6L four that can be hooked up to either a six-speed manual transmission or a six-speed dual clutch automated manual transmission. The optional turbocharged engine can be linked up to a six-speed manual or a seven-speed dual clutch automated manual transmission. The SE trim upgrade is priced to reflect the content included in the package. Good value Technology package. Hyundai charges roughly $1500 for the turbo power upgrade when equipment standard with the stronger engine are accounted for. Leasing is not worth pursuing. Good reliability predicted, like the Accent it is based on. The dual-clutch automated manual transmission and the turbo engine are unproven and some complaints have been received about unsolvable issues with the six-speed dual clutch transmission. 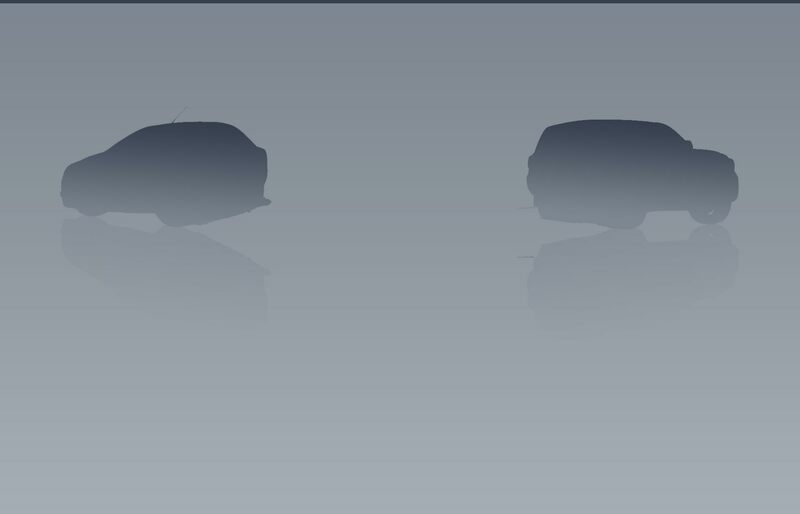 Revised frontal styling and package changes. Engine horsepower drops from 138 to 137. While the direct-injected four furnishes lively acceleration at higher revs, poorly chosen gear ratios (too high in the first three gears and too close in the last three), don't deliver the kind of performance expected from an engine rated at 137 horsepower. Serene cruising. The Rio's manual transmission has a smooth, progressive clutch and a precise gearchange. The nicely-weighted steering is more linear than that of the related Hyundai Accent. The Rio's suspension tames scarred urban pavement and, except for a rear suspension that gets bouncy over big undulations, the Rio feels confident in the twisties as well. Strong, progressive brakes. Thicker undercoating and other measures result in a Rio that is more refined than its Hyundai Accent platform mate. Big, crisply-marked gauges are part of a horizontal panel containing the audio controls. The climate controls are located in a shallow console hung just under the audio controls. All switches and knobs move with a cushioned precision. Some drivers find the front seats too firm and too flat. Adequate rear seat legroom, but toe space is tight under the front seats and the rear backrest is too upright for comfort. Very chic two-tone cabin colour schemes available on the SX model. Roomy, versatile cargo bay on the hatchback and an enormous trunk on the sedan. Strong air conditioning and an excellent audio system. The Rio's optional Eco's engine turns off the engine when stopped in traffic, restarting when the brake pedal is released. Kia claims improved urban fuel economy on cars with this feature. With no air-conditioning or automatic transmission, even as options, the base LX trim level exists simply to advertise a low MSRP. Moving up to the LX+ trim level is terrific value and includes expected features such as air-conditioning, Bluetooth and cruise control. The EX and SX trim upgrades are bargains considering the equipment they contain. The SX+ model boasts luxury features such as navigation, heated steering wheel, leather upholstery and a sunroof. Hatchback bodies are priced $400 higher than sedans of the same trim level. Good value leasing for 2016. Good reliability predicted, with few complaints received thus far.